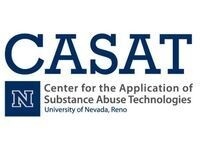 Research indicates a connection between trauma and substance use. Often trauma related diagnoses including PTSD are an accurate assessment, but are these always adequate? Participants will consider the potential value of trauma treatment as well as what other co-occurring disorders might be overlooked. Through this workshop participants will have the tools for accurate assessment, diagnosis, treatment planning and the value of integration to best meet the needs of the client. In addition, a review of current research will influence a discussion of best practices in treatment. This workshop is appropriate for addiction, behavioral and mental health professionals.